Sixty percent of persons living with Alzheimer's wander. The GPS tracking shoe could be the answer to this problem. 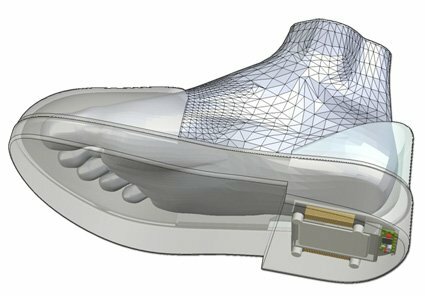 A new GPS tracking shoe is coming to market soon. The shoe will have the ability to "keep track" of dementia patients, and locate anyone wearing the shoe if they wander away. 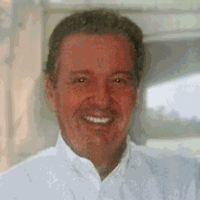 Our reader Donna Giovannetti wrote this hair raising story, My Dad -- Missing and Found. "We learned later that my father had become disoriented and lost. He did not have a cell phone, remember the name of the hotel where he and my mother were staying, remember my mother’s cell phone number...he was unable to ask for help..."
Donna's Dad was not located until the next day. Imagine the heart ache and angst. Every day there are multiple stories in the news about dementia patients that are missing. Sometimes they are found nearby, often they are found far far away. How about in Mexico? How about Judge Lombard. He was lost three times on his trip from Las Vegas to Detroit. How about Clarence Newbury? Clarence got in his car to drive down the street to visit his son. Fifteen hours later he was finally found seventy miles from home walking down the highway. The new GPS shoe won't be cheap, it costs about $300, plus the monthly cost of tracking. The chip will be built into the shoe so that it won't fall off, or won't be removed by the patient. The shoe will be very effective for those that allow those living with dementia to walk on their own. If they have the shoe you won't be hearing these famous words, "well, he never wandered away before". You will actually be able to program the chip. So, if a person goes too far from home you could be alerted. This is the equivalent of an electronic fence. Additionally, you can track the person on a computer and see where they are at any point in time. The video below is a good demonstration of the potential. Systems, who built and maintains a market leading tracking solution for individuals with Alzheimer’s.